COLUMBUS, Ohio – A woman’s memories of a loved one’s experience with cancer could play a significant role in how she approaches breast cancer prevention in her own life, a new study has found. Women whose family members or friends died of cancer were far more likely to approach prevention aggressively than were those whose loved ones survived the disease, found a team of researchers at The Ohio State University. “The cancer of someone you care about is a lens through which you interpret your own risk,” said Tasleem Padamsee, an assistant professor of health services management and policy and lead author of the study, which appears in the Journal of Health Psychology. “Our study suggests that that experience has an impact on how women make decisions about prevention,” said Padamsee, who also is part of Ohio State’s Comprehensive Cancer Center. She interviewed 50 women at elevated risk of developing breast cancer in hopes of better understanding why some women opt for protective measures including removal of their breasts and taking medication while others do not. Thirty of the women were white and 20 were African-American. The study’s design intentionally included open-ended questions to help ensure that the researchers’ own ideas about which factors matter most wouldn’t bias the findings, Padamsee said. “We wanted to understand what information high-risk women are using to make their choices about genetic testing, prophylactic surgery and medication and we were able to learn a lot by listening to how each woman told her personal story,” she said. Reviewing all 50 of the interviews, the researchers observed clear trends. They divided study participants into four categories based on how the women described their lifetime experiences with cancer, ranging from those with little to no close experience to those who had a traumatic exposure to cancer, usually because a loved one (often the woman’s mother) died. Most of the women in the study had breast cancer risk well above the 12 percent average lifetime risk for all women. Women whose genes put them at a 20 percent or higher lifetime risk of developing breast cancer may benefit from medical interventions including advanced and more-frequent imaging, prophylactic removal of the breasts and anti-estrogen medications, such as tamoxifen. And researchers know that each of those methods is used far less often than clinical guidelines recommend. Padamsee said she was somewhat surprised by how much influence watching friends or family experience cancer had on women’s own approach to prevention, even among women with similar risk levels. Women in the three study groups who had not lived through a traumatic cancer experience with a loved one were generally oriented toward mammography as a prevention tool and were open to the idea of genetic testing. Overall, they weren’t interested in more aggressive options unless a genetic test confirmed a predisposition to breast cancer. Padamsee said she was troubled that some of the women were not aware of prevention options for which they would be potential candidates and that many said that financial barriers stood in the way of their pursuit of genetic testing. “A lot of women said, ‘If I had the test and I knew I had a mutation, then I would have surgery,’ and that tells me that we need to work on making sure more women have access to those tests,” she said. The next step in this research will include a more detailed examination of factors, including race and socioeconomic status, that likely contribute to prevention choices, Padamsee said. 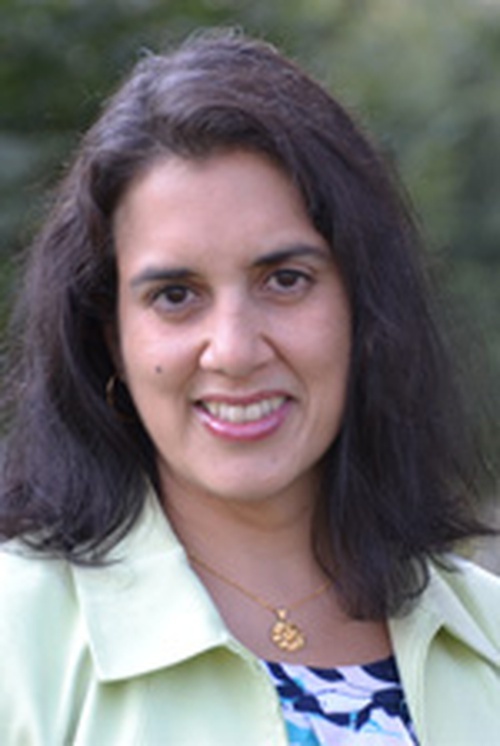 In the newly published study, African American participants were more likely than white participants to view cancer as a monolithic disease and to not talk about breast cancer as a specific illness that could be prevented with approaches beyond routine mammography and healthful living, Padamsee said. That could be because of barriers to seeing specialists who could help educate women about their options, she said. “My goal is to empower women so that they know their risks and their options and can make the health care choices that are consistent with their own values,” Padamsee said. Other Ohio State researchers involved in the study were Anna Muraveva, Celia Wills, Electra Paskett and Lisa Yee, who is now with City of Hope National Medical Center.